RUSH: Last week I made the point, we discovered that the FBI agent, who happened to be Peter Strzok, who interviewed Flynn, said afterward that he didn’t think Flynn had lied. A number of other FBI agents who reviewed the transcript of the interview concluded that Flynn had not lied. The Washington Post published a transcript of the phone call between Flynn and the Russian ambassador. The Washington Post concluded that Flynn had not lied. Yet Flynn copped a plea with the special counsel, Robert Mueller, agreeing that he lied to investigators, and he did this because he was about to be ruined. His family was coming unglued with all the attention and all the pressure. And whatever money he had saved was now gone down the lawyer loophole. He spent everything he had defending himself on this case. It then became a question of was Flynn told that the FBI thought he was innocent, that he had not lied, was Flynn told this before he agreed to plead guilty to lying? And then we raised the question, was Flynn’s lawyer told? In other words, the FBI agent who happened to be Peter Strzok did the interview, thought there was no lying on the part of the Flynn, that’s exculpatory evidence, if you will, or exculpatory conclusion. Did they share that with Flynn’s lawyer? Obviously not. Because if they had shared with Flynn’s lawyer that the FBI didn’t think Flynn lied, then why would Flynn cop a plea to lying? Well, there has been a major development. The judge in the case who accepted the original plea was removed. And that’s the correct — well, let me backtrack. 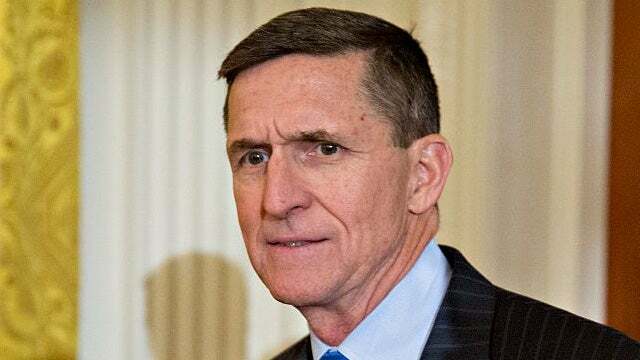 The judge left the case two days after Flynn entered the guilty plea. And there has been speculation that the judge was removed because it has been learned that Flynn was not told that nobody thought he lied. So Mueller may have gotten a guilty plea out of Flynn when Flynn didn’t lie to anybody in their opinion. Strzok said, “You got time for a little chat?” He came in, did an interview. Flynn didn’t even know he was sitting in a formal interview. He didn’t have a lawyer with him. And out of that comes the fact that he had lied to the FBI agents about his conversation with the Russian ambassador. And it all has to do with whether or not the Trump team was planning to lift the sanctions Obama had put in place in December to punish the Russians for stealing the election away from Hillary, all that yada yada BS. So last Friday the new judge in the case, Emmet Sullivan, directed Mueller’s team to provide Flynn’s attorney any exculpatory evidence, which would include the FBI thinking Flynn had not lied. This was a Byron York story last week. The next day, Andy McCarthy wrote his piece about this, and we were off and running, and we now have a way of understanding the significance of the judge’s order on Friday. Now, the point that Margot Cleveland is making here is that if Flynn was misled, deceived, and lied to and not told that the FBI didn’t think he had lied — that has to be the case. Why would he plead guilty to lying if the FBI didn’t think that he had lied? And the only answer to that is he had to stop the bleeding, that he couldn’t afford it anymore, that they were going after his son, too — remember that — and that the family was just under immense pressure, relentless pressure. 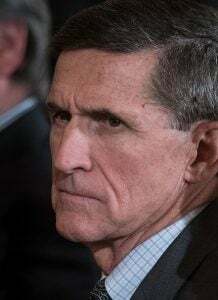 And as the family head, Flynn wanted to end it. So to recap this, on November 30th, 2017, prosecutors working for Mueller charged Flynn with lying to FBI agents. The following day, Flynn pled guilty before Judge Rudolph Contreras. Less than a week later, it was like a matter of days and without explanation, Flynn’s case was reassigned to Judge Emmet Sullivan. Sullivan was the judge in another famous case like this that went against prosecutors, and I’m having a mental block. Maybe it’s mentioned in this story. (interruption) Ted Stevens! That’s exactly what it was. The government reamed and got Ted Stevens for lying or some such thing, and this is the judge that came in and overturned it. That’s exactly right. Senator Ted Stevens of Alaska was found guilty of some such thing. And this is the judge who came in and found the government irregularities and reversed the decision and removed the guilt away from Ted Stevens. Flynn’s attorneys should start receiving all of this pretty soon from the special counsel’s office. And if this exculpatory news, shall we say, was indeed withheld from Flynn — and common sense says it has to have been. Why else plead guilty? If you’re told that the agent that interviewed you didn’t think you had lied, and if the Washington Post publishes their transcript and they weigh in that they don’t think Flynn lied, and if other FBI agents looking at this don’t even think Flynn lied, then why has Flynn pleading guilty to lying? It’s because he wasn’t told. And if that’s the case, what other evidence has been withheld? See, this kind of thing always provides a starting point, not a solution. So if prosecutors and investigators have withheld this really important news from Flynn, then the question arises: What other evidence may have been withheld? Like from the FISA court. We’re back to that. Has the FISA court…? Are they up in arms privately and nobody knows about it yet? Was the FISA court lied to by the FBI, by not being told, having not been told the origins of the Steele dossier? In other words, that the Clinton campaign paid for it and that it was a political opposition research document. Was the court lied to? Was the court told that it was legitimately gathered intelligence from all over the world by the best intelligence agents the world has? If they withheld evidence from Flynn, the odds are they’ve withheld evidence from others. This whole thing — this one little error that has been made with Flynn — could bring a whole lot of other abuse to light. Nobody knows, though, right now. Nobody knows what the evidence is gonna show. But there are enough shady characters involved to believe there will be something of significance. “Friday’s order” of the judge for these people to turn over every bit of exculpatory evidence they have to Flynn and his lawyers “suggests [Judge] Sullivan is ready to do just that. That order consisted of an updated standing order detailing the government’s obligations under Brady [statute]. On the surface, Friday’s order seems inconsequential, but in comparing the December 12, 2017, version to the February 16, 2018, version, one substantive change stood out. “It was subtle, but significant given the posture of this case: The revised version added one sentence specifying that the government’s obligation to produce evidence material either to the defendant’s guilt or punishment ‘includes producing, during plea negotiations, any exculpatory evidence in the government’s possession. 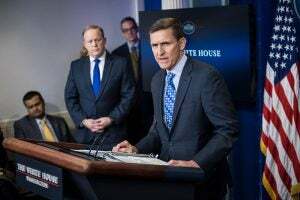 '” This is all gonna hinge on whether or not Flynn was told that the FBI didn’t think he lied. We don’t know. It just appears. Common sense makes it appear that that is the case. I think with all these other indictments now that Mueller is announcing on the fringes… You know, Mueller’s latest indictment is of some obscure lawyer in the law firm Skadden, Arps, Slate Meagher & Flom’s London office for lying to somebody, lying to some agents about a case involving Ukraine? One of the things he’s accused of is deleting emails. Well, I know somebody who deleted 30,000 emails, and they still can’t find ’em. And James Comey, the FBI director, said, “No reasonable prosecutor would prosecute her for doing this, because she didn’t intend to do it.” So we’re going after some small fry that nobody ever heard of at a law firm in London in a case involving Ukraine, and part of the charge is that this clown deleted emails.